Magenta is and always have been a bold color. At weddings, it can turn into an edgy theme with romantic undertones. 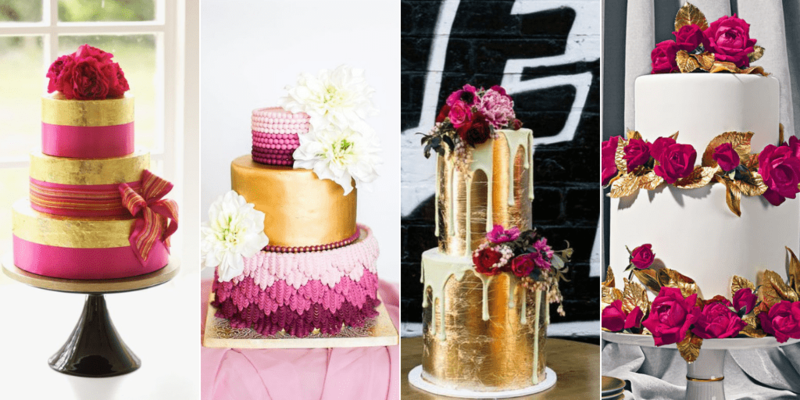 Combined with gold; you have the perfect summer wedding palette. Especially if you are opting for a nighttime ceremony. Gold has the right amount of regal enchantment that will always draw attention. 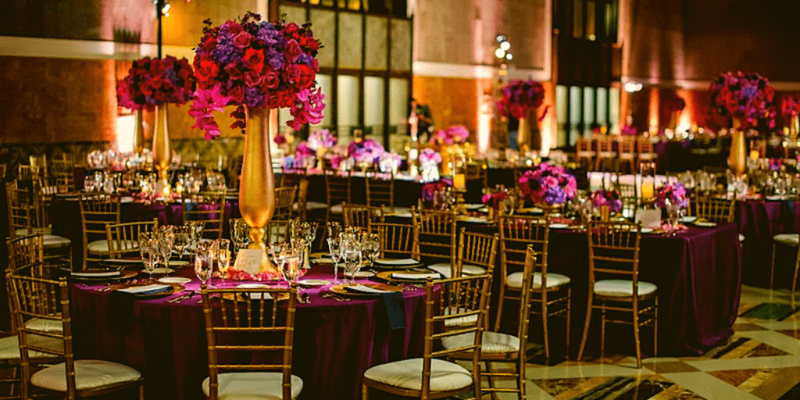 When it comes together with magenta, what you have is a glamorous night with a feeling that anything might happen. Somehow this color scheme also represents the best of the mid-eastern cultural magic, like a backdrop for the fairytale from the exotic lands. 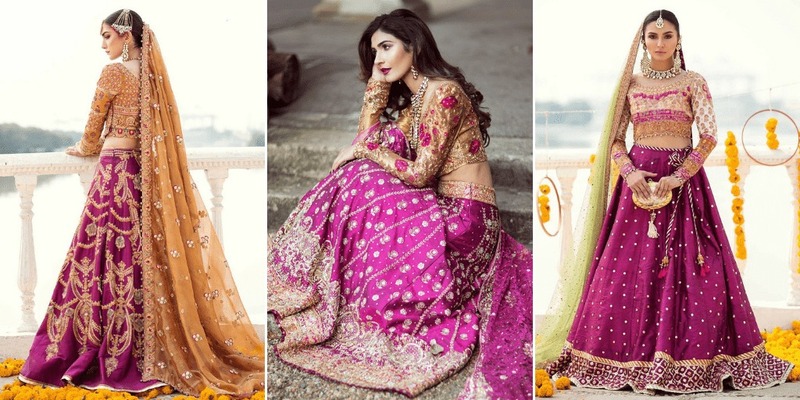 Farah Talib Aziz is the go-to bridal wear designer if you are looking for gold and magenta wedding dress inspiration. Her dresses are too pretty to pass up for this list. There are some bridal wear designers who are also using this theme, but there is just something about Farah Talib’s aesthetic quality that makes her superior. It might be a bit unconventional theme for the wedding cakes, but you will agree that they will look quite ravishing on a desi wedding. 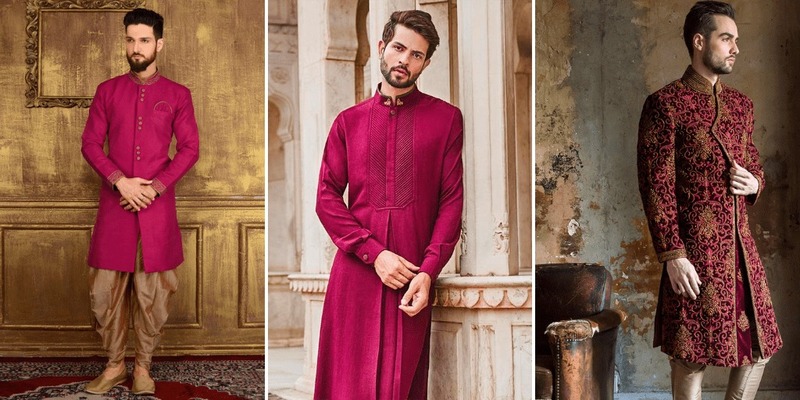 Magenta is one of those colors that doesn’t look too feminine when worn by the men. It takes on something of a masculine vibe that’s both mysterious and graceful. Of course, you will have to dull down the flash for such loud colors. Take cues from these understated grooms attires. 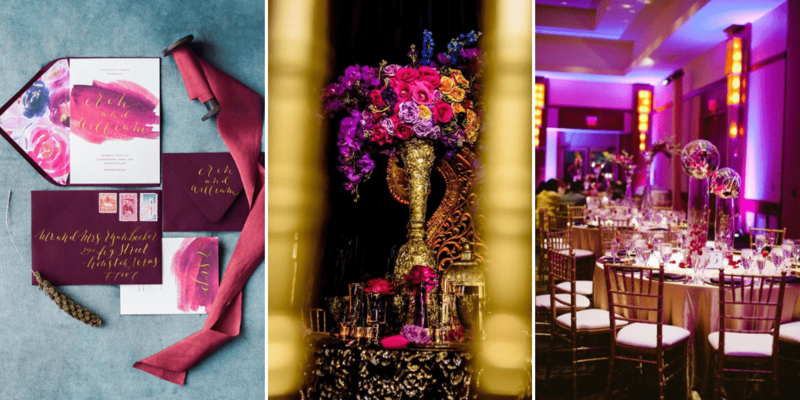 Pulling off a magenta and gold wedding décor theme is almost too easy in Pakistan. 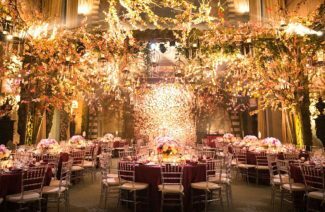 Large venues can be given a cozy, exotic look with this color combination. Especially the marquees with their lively fabric strips will look brilliant in your wedding album, provided that you have the lighting right. What do you think? Will you give this theme a try? We bet it will look perfect for your Mehendi or even your Barat. 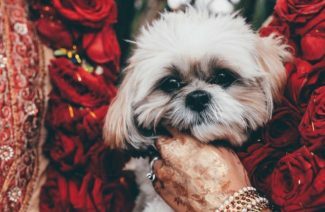 Next Post How to Include Your Beloved Pets in Your Wedding?